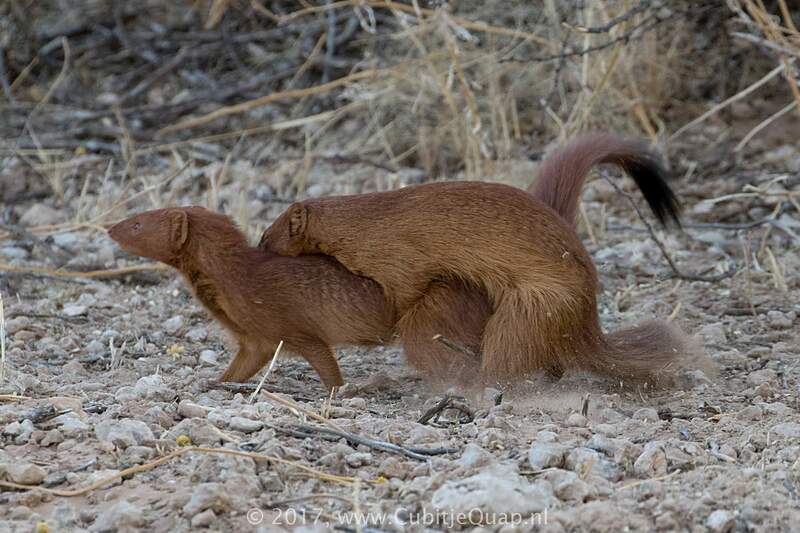 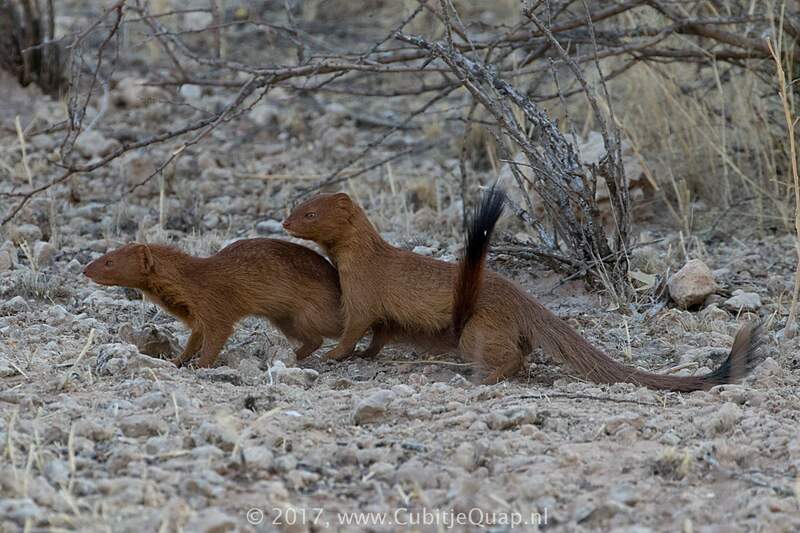 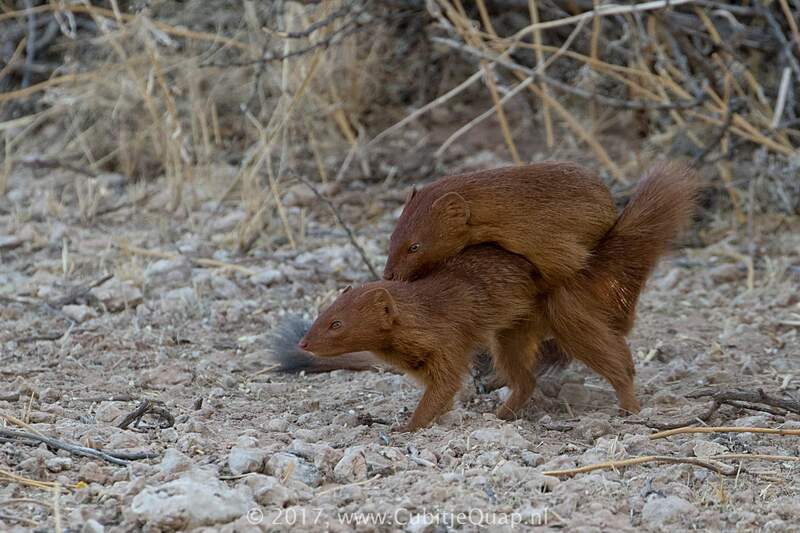 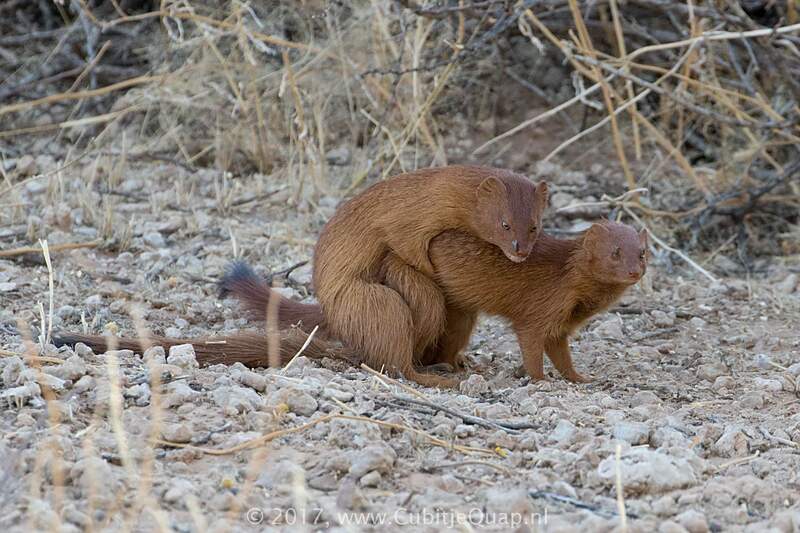 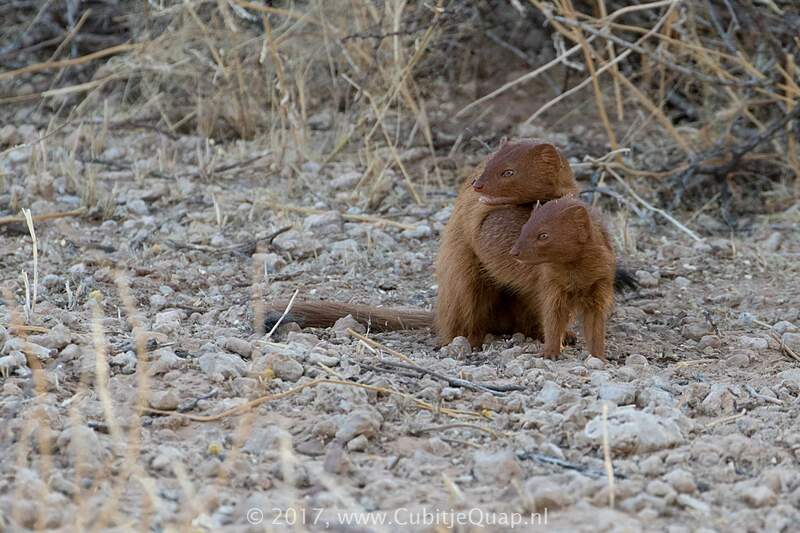 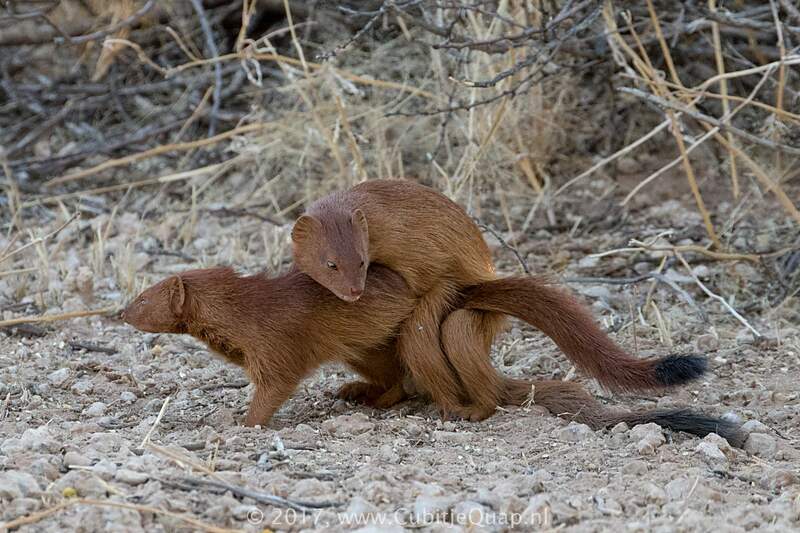 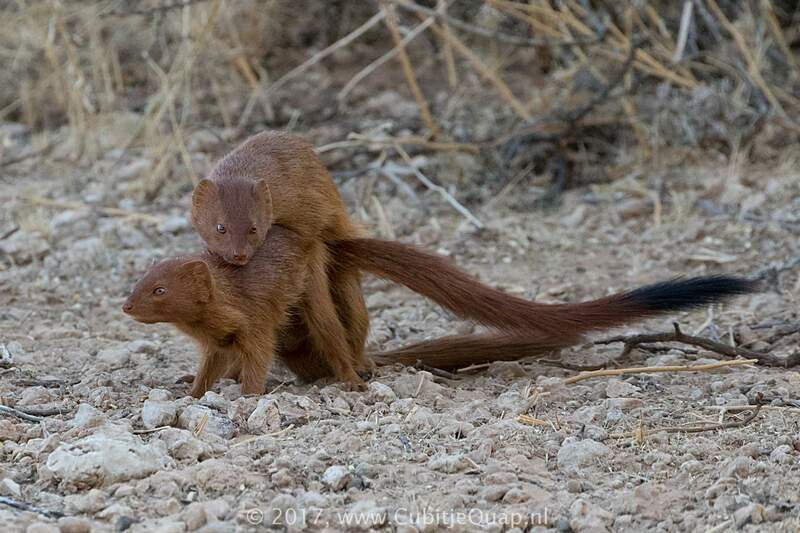 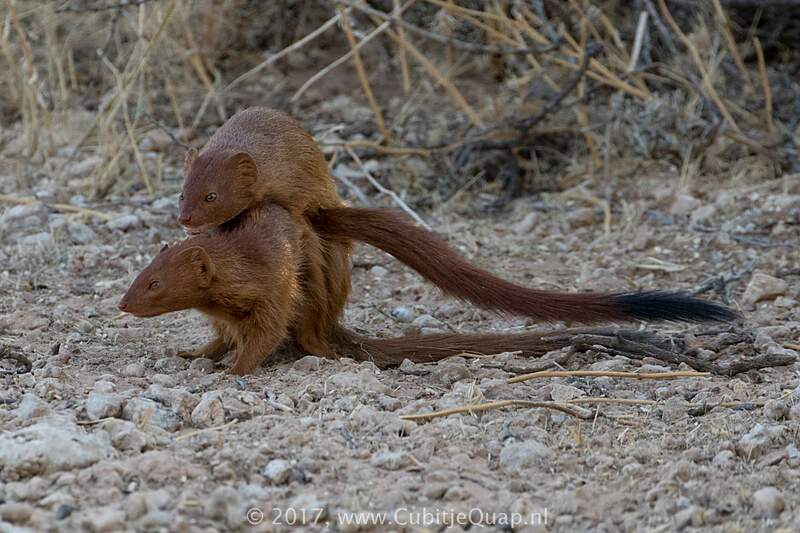 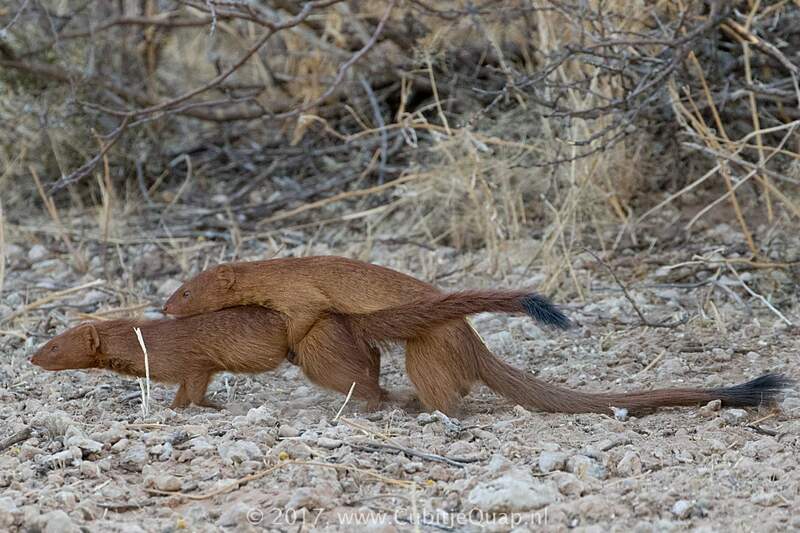 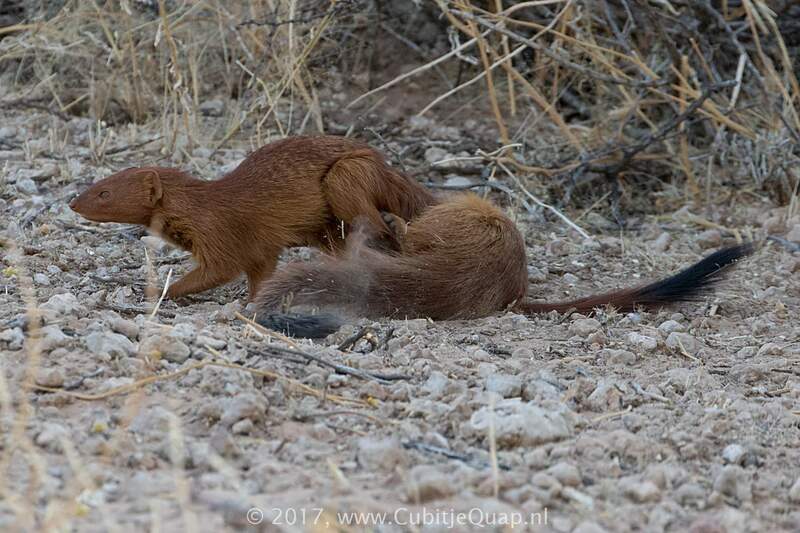 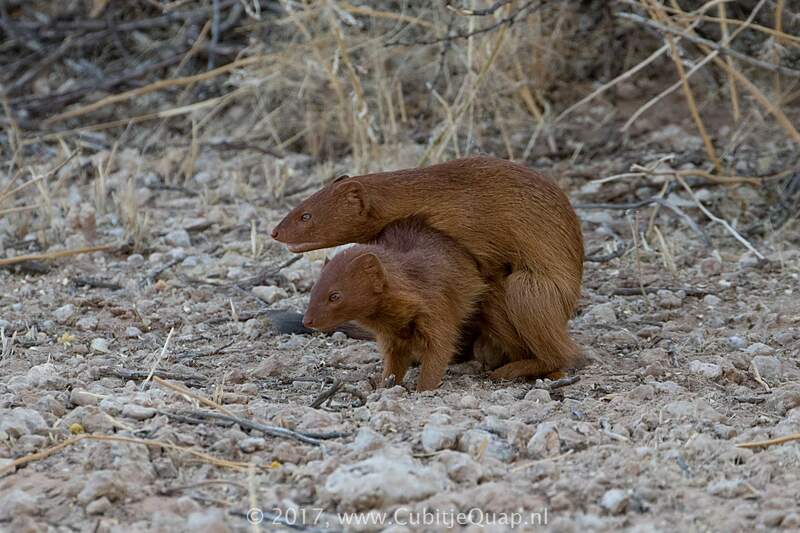 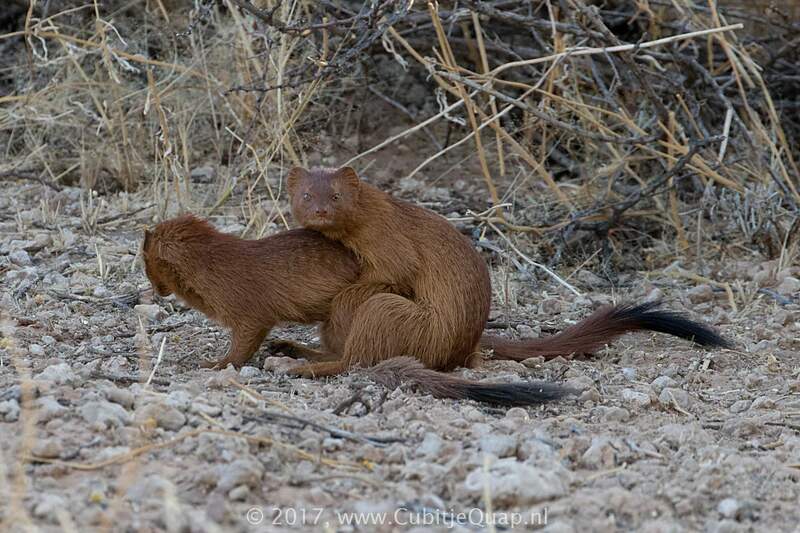 The slender mongoose lives alone or in pairs. 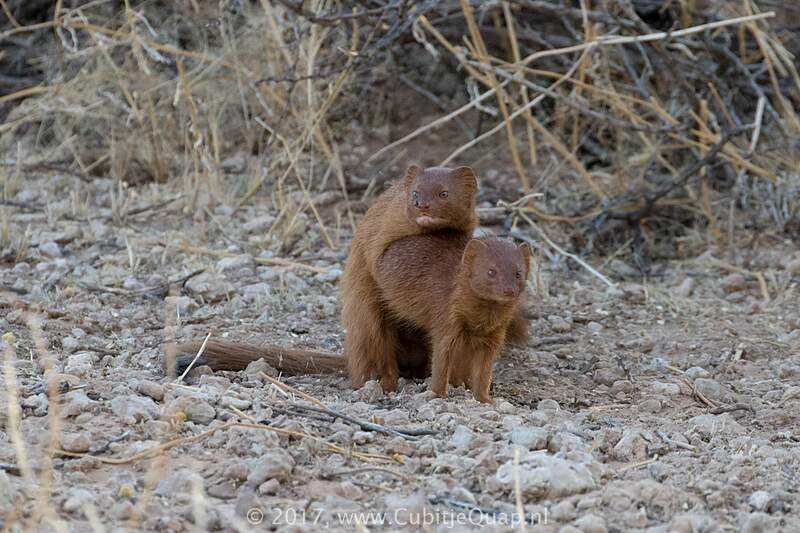 They remain in the same area and dens may be found anywhere sheltered from the elements: in crevices between rocks, in hollow logs, and the like. 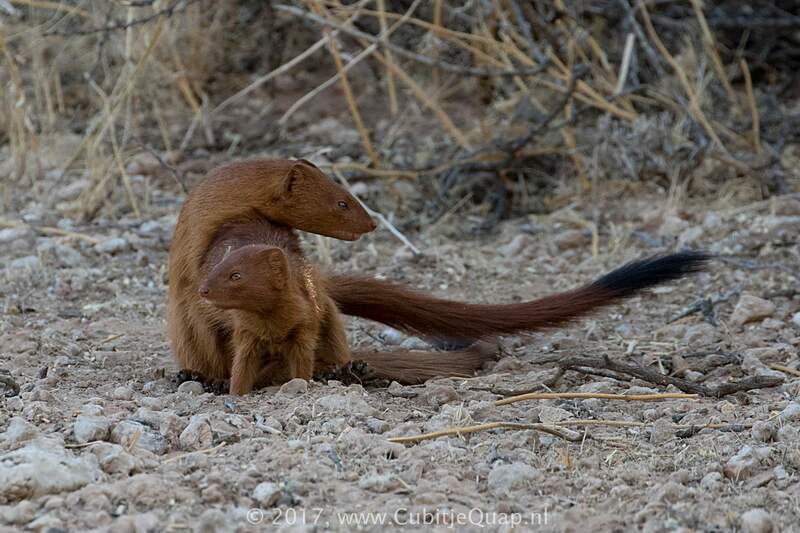 The gestation period is believed to be 60 to 70 days, and most pregnancies result in one to three (usually two) young. 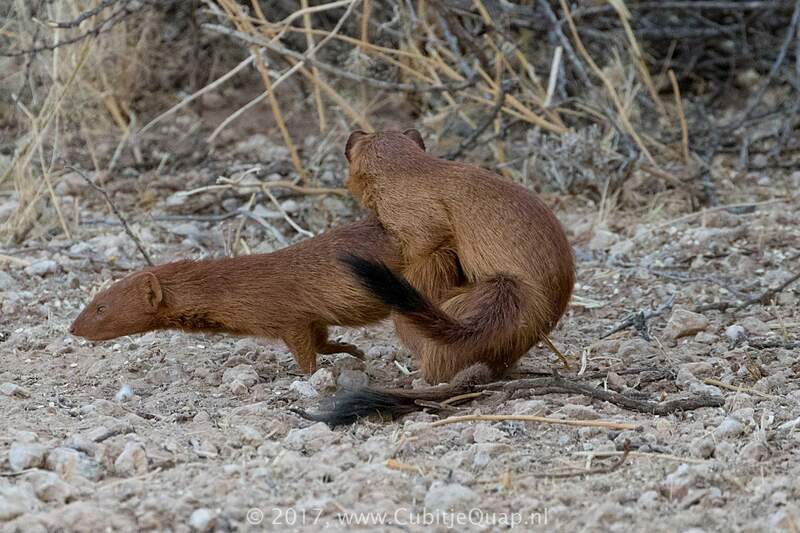 The male does not help care for them.